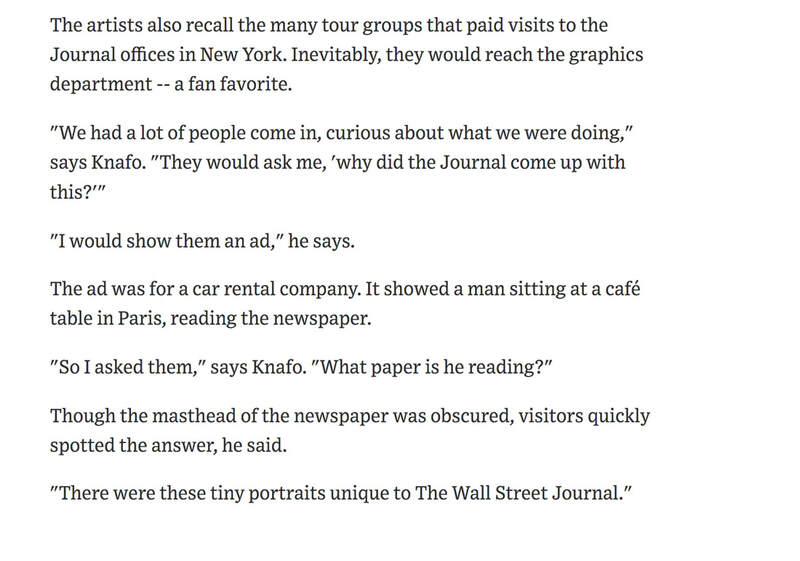 Meet the "WSJ Five", a crew of staff illustrators who cover all of paper's illustration needs. This group of artists hasn't changed in decades. Scan the Internet for information, you'll most likely get a wrong idea about who we are. Paired with the fact that we aren't credited in the paper (due to our staff positions), the confusion only grows bigger, so at the time when fake news and fakery in general is hard to avoid, it has become of utmost importance that we set the record straight and give credit where credit is due. So, there you have it. Whatever else you might have heard, is simply false. 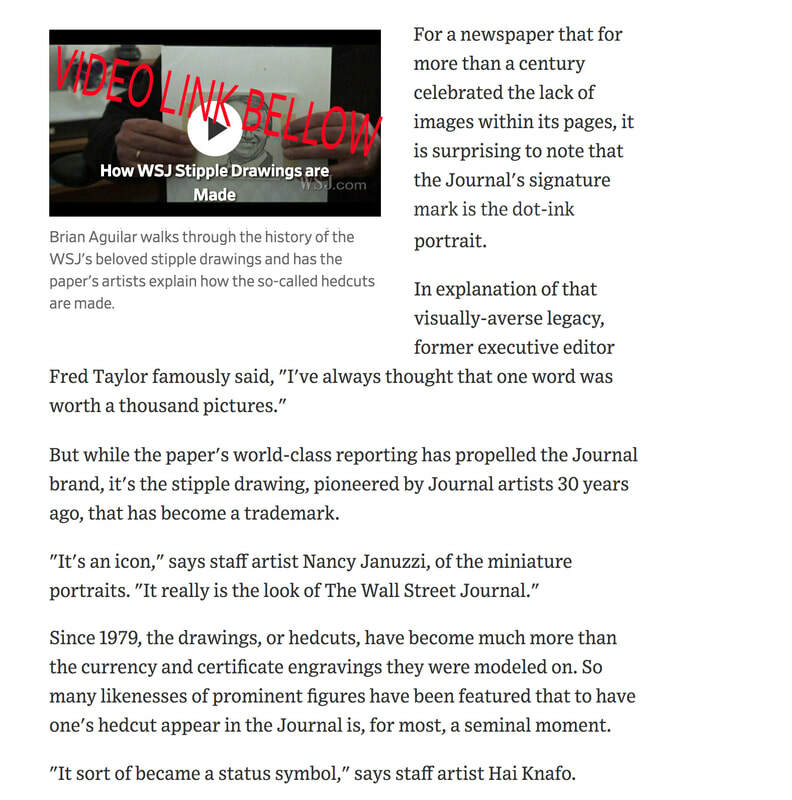 There are no other illustrators drawing for the Journal and there are no automated applications making insta-hedcuts, not for the paper nor for outside clients. 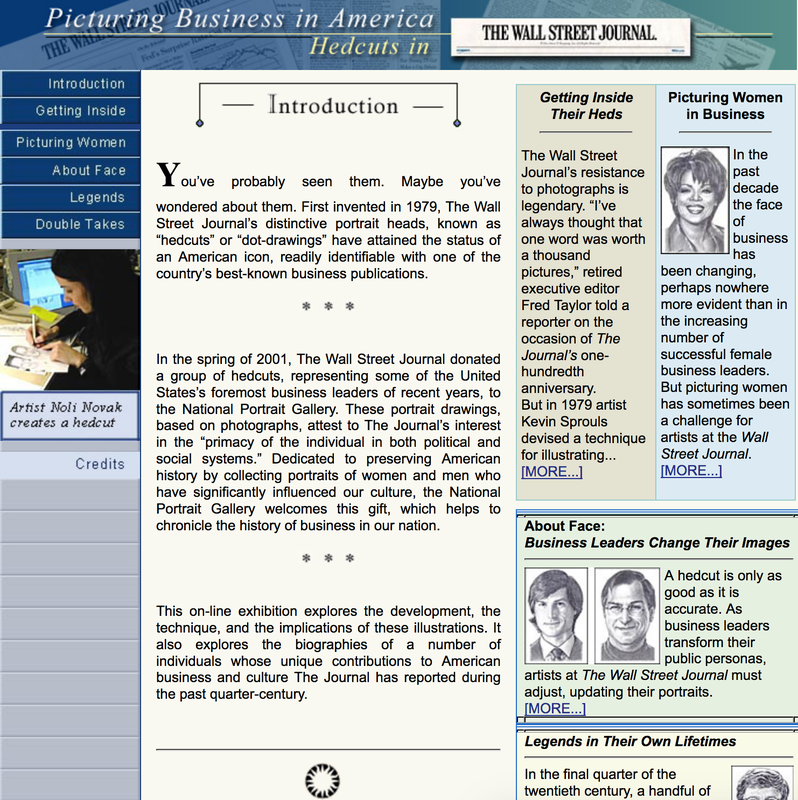 As a group, we fought hard to keep this style of illustration present on Journal's pages to this day and in the process, it became not just "the look" of the Journal but an iconic style for the business world in general. Over the years, we had to find our way around many obstacles and challenges but we endured and even created a smooth transition into the digital realm. It is also important to mention that contrary to another Internet rumor, the five of us have always been available for freelance work. We have been covering the needs of a variety of clients, especially the financial sector's, for many decades as well. If you're in need of this kind of illustration, refer to the list above to make sure you're working with an authentic hedcut artist. It is that time of the year again, Super Sunday! A day when the entire country is glued to the TV, eager to watch a bunch of puppies running after toys and each other, the Puppy Bowl! For this occasion, here are just a few of my doggy drawings. I have done so many over the years, I lost count. Both for the Journal and many outside clients. I drew large dogs, small dogs, stuffed toy dogs, stray dogs, service dogs, royal dogs, presidential dogs ... even Snoop Dog! 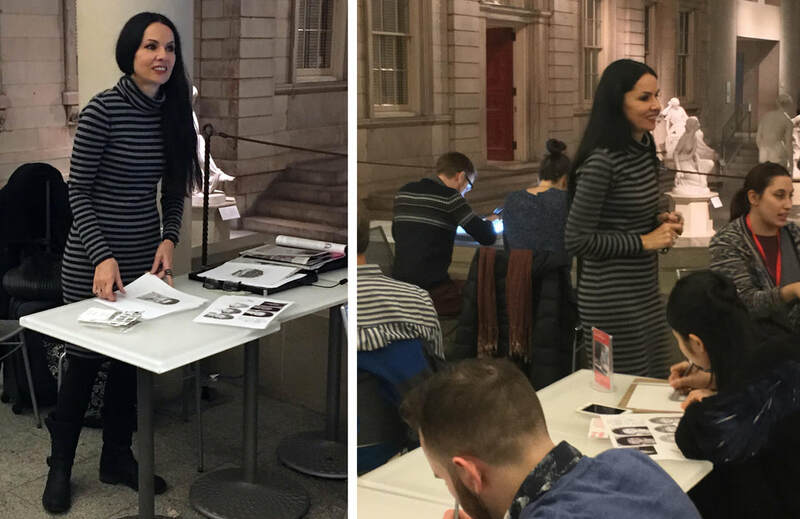 As per my invitation by The Metropolitan Museum in NYC, I participated in a public program organized on the occasion of the exhibition Michelangelo, Divine Draftsman and Designer. 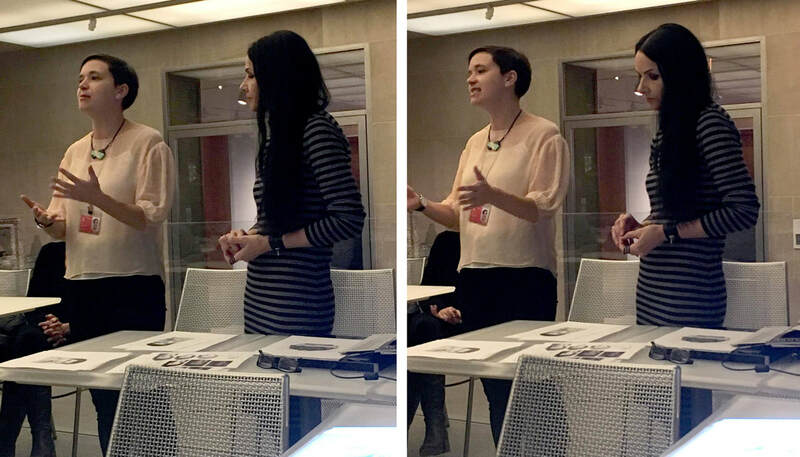 I held a workshop and showcase of my hedcut drafting technique for two groups of people interested in learning more about it. 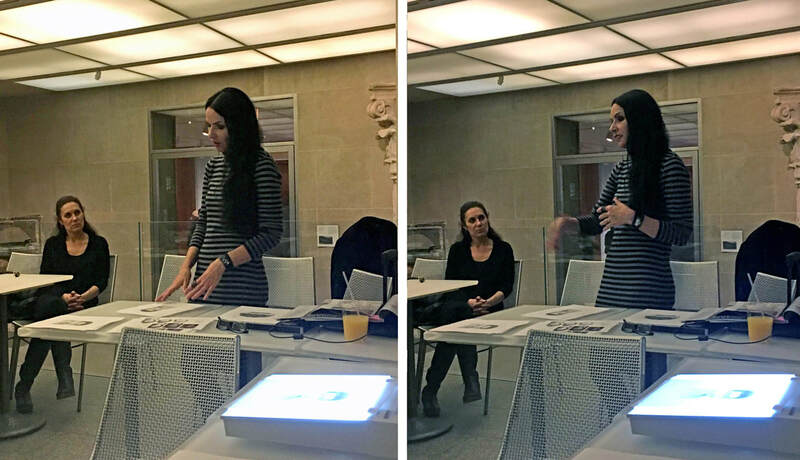 I was invited by Ann Meisinger, Assistant Educator for Public Programs & Creative Practice Education at The Met Museum. 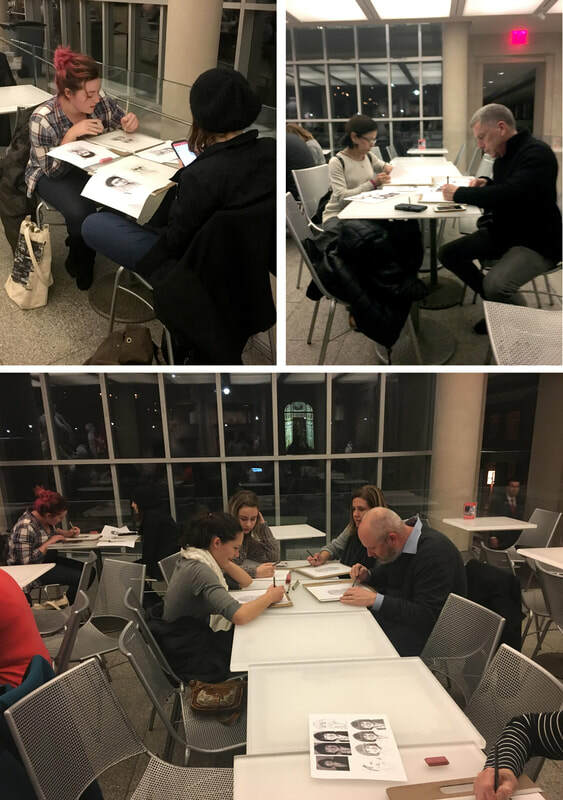 For the workshop, Ann preferred that we use reference images of some of the artworks from the museum's own collection. 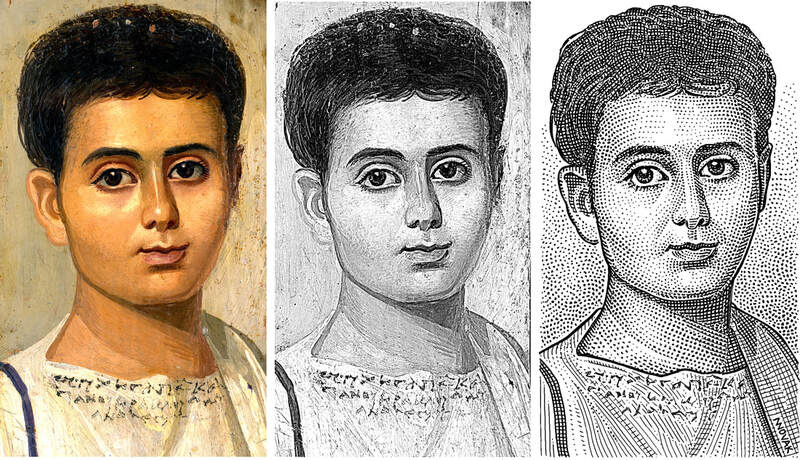 She picked a few, including a Fayum portrait of a young boy named Eutyches. I drew a stipple portrait of Eutyches to show the "students" what the actual hedcut would look like. 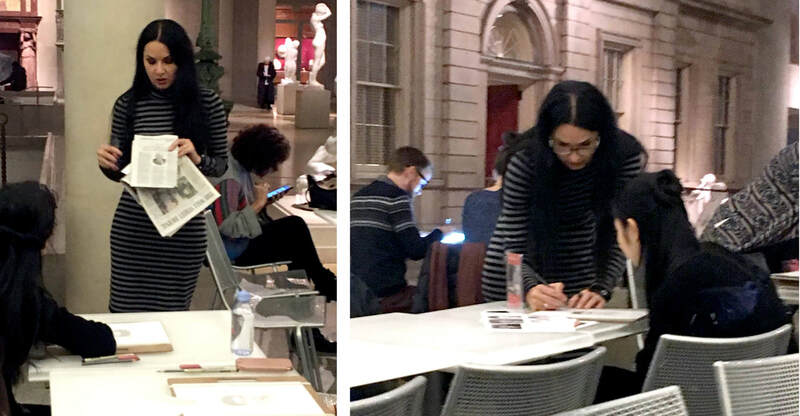 From my experience of training the new artists for the WSJ, I knew that the drawing process might be a bit too technical for the attendees to master in an hour. On average, it takes about a month of daily practice for a person to start forming a cohesive style, but everybody in attendance was genuinely interested in giving it a shot. Most of the feedback from those who tried to draw, was that it is much harder than it looks. 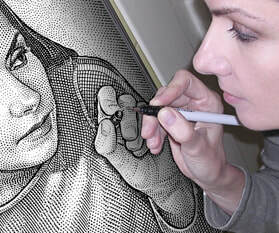 For instance, cross hatching needs to be smooth with the lines evenly spaced and dots have to be placed in patterns and even rows, both unique characteristics of the hedcut technique. 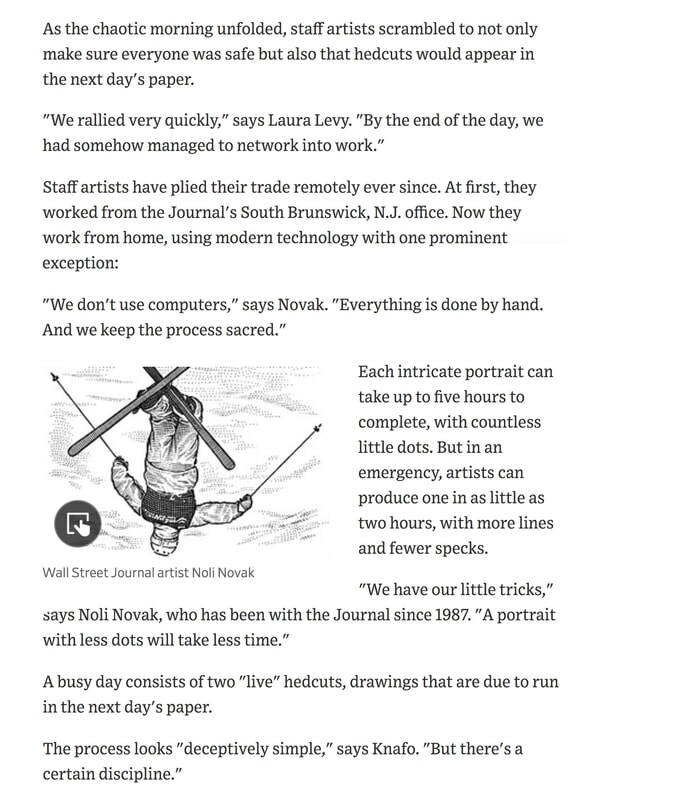 At the WSJ, my colleagues and I have all developed our own, individual ways of doing hedcuts over many years of paper's constantly changing needs and deadlines, so at the workshop, I set up a few different ways of drawing. We had drawing panels, as well as light boxes and a variety of micron pens and vellum paper. In relation to the hedcuts, I checked out the Michelangelo exhibit. I focused mainly on his works on paper, more specifically his hatching technique and pen and ink line work which there were many examples of. In the end, I'd like to point out that my hedcut "workshop" was a very special event. 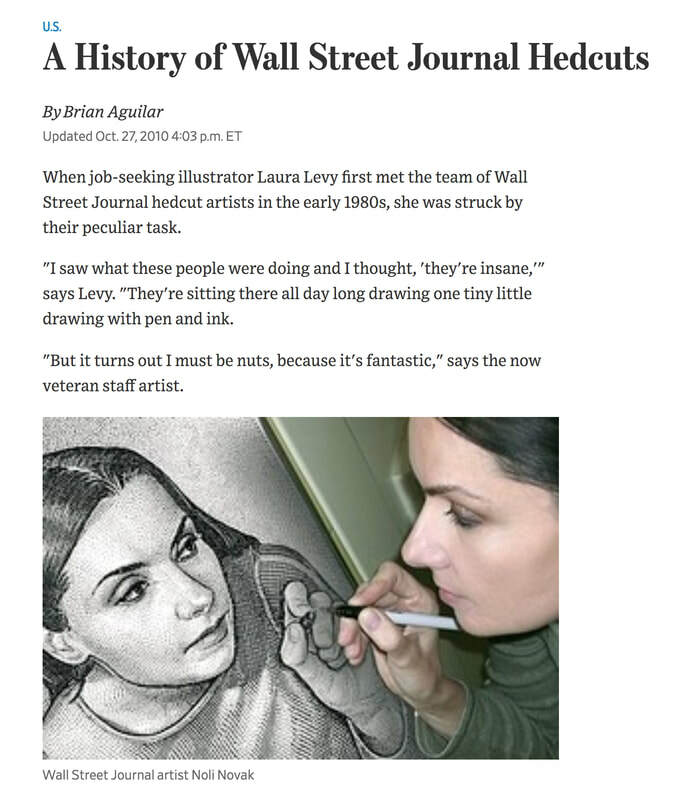 I get asked about hedcuts quite a bit but I normally don't teach the technique outside of the WSJ. 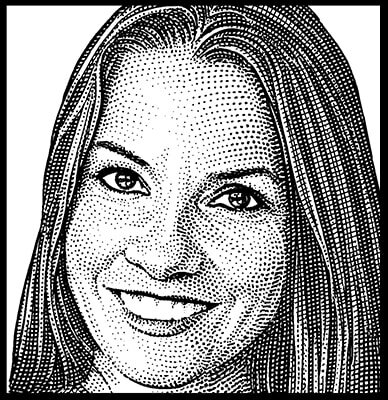 Therefore, I'd like to extend another huge "Thank you" to Ann Meisinger and The Met for the invite and the rare opportunity to do a little show-and-tell about real WSJ hedcuts. I was also happy to learn they are interested in doing a workshop with my paper collage technique in the future, which is very exciting. 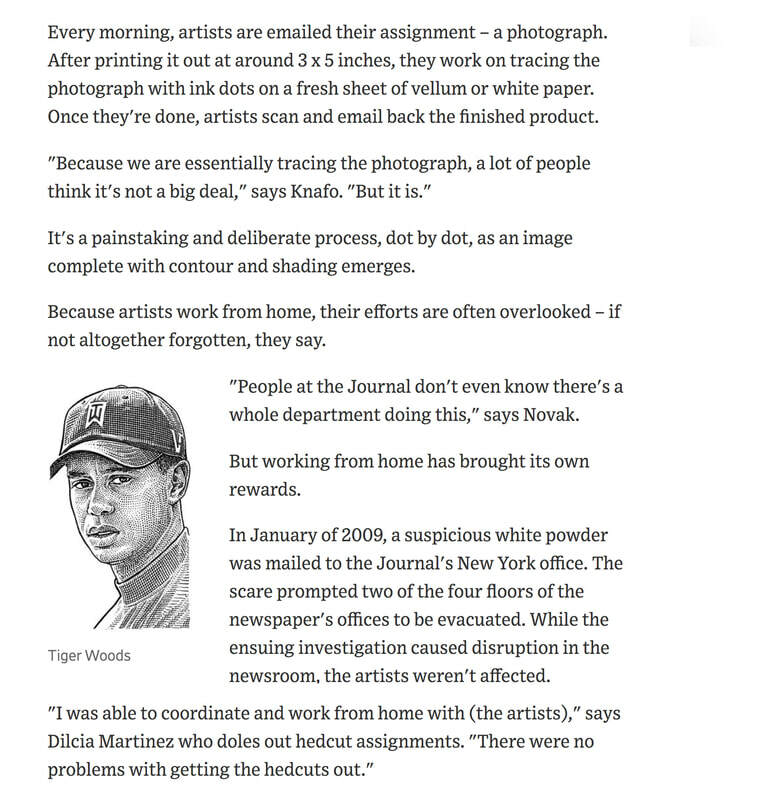 Noli Novak, working out of her home studio in Riverside, is one of just a handful of artists who supply the Wall Street Journal with its iconic stipple “hedcut” illustrations — the lifelike, hand-drawn head-shots made up of hundreds of dots and dashes and lines. 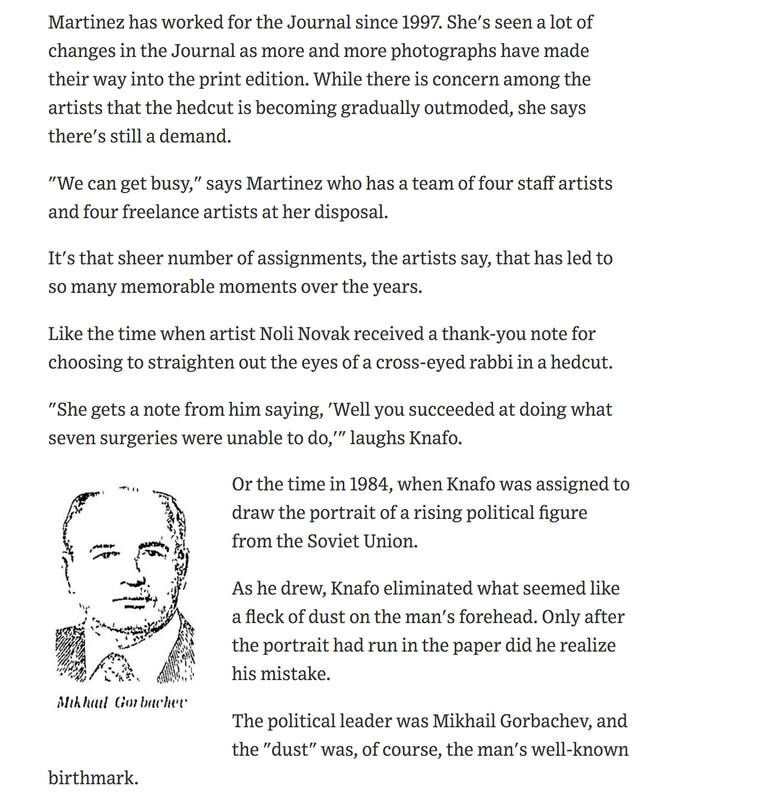 Over 30 years, she’s done thousands upon thousands of the portraits, of news-makers famous and obscure. Many people she’s done numerous times over the years, as they — and the times — change. She offers some insights: When drawing a near-photographic likeness of President Trump, you might think it’s his rather unusual hairstyle that would be the hardest thing to capture. She is one of two full-time stipple artists at the Journal, where she was hired while still in her 20s, a recent immigrant from what was then Yugoslavia. 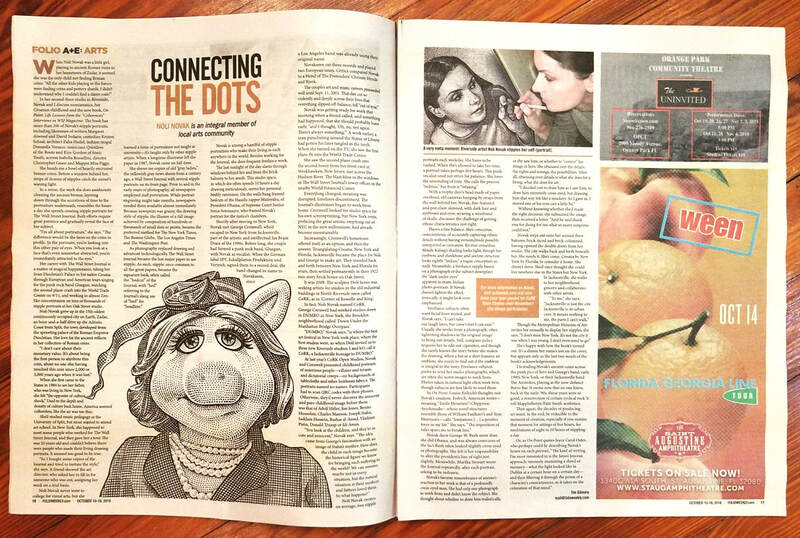 Though her newspaper work is uncredited, she’s well known in the world of stipple illustrations, sought out for freelance work from major corporations and exhibited in galleries. And on Friday she’ll be at the Metropolitan Museum of Art in New York, where she’ll showcase the technique and invite those in the audience to try it out themselves. She’s not crazy about the cold anymore — never was — but it will be good, she says, to be back in New York. Until Sept. 11, 2001, she worked out of the newspaper’s headquarters next door to the World Trade Center. On that morning, she was at her apartment in New Jersey, getting ready for work, when a co-worker called to say something had happened at the World Trade Center. Novak turned on the TV, then looked across the Hudson River and saw the second plane hit the south tower. Then she watched as the buildings came down. It was nightmarish, unbelievable, she says. The Journal’s offices were badly damaged by the collapse, and Novak lost years of work she’d stored there. After that, illustrators began working from home. Within a few years, she moved to Jacksonville, where her husband, George Cornwell, had grown up. They’d met in New York, playing music, and formed a band that ultimately became known as NovakSeen. They played at well-known New York clubs, were signed by a German record company, toured Europe. She sang, and he played the guitar. 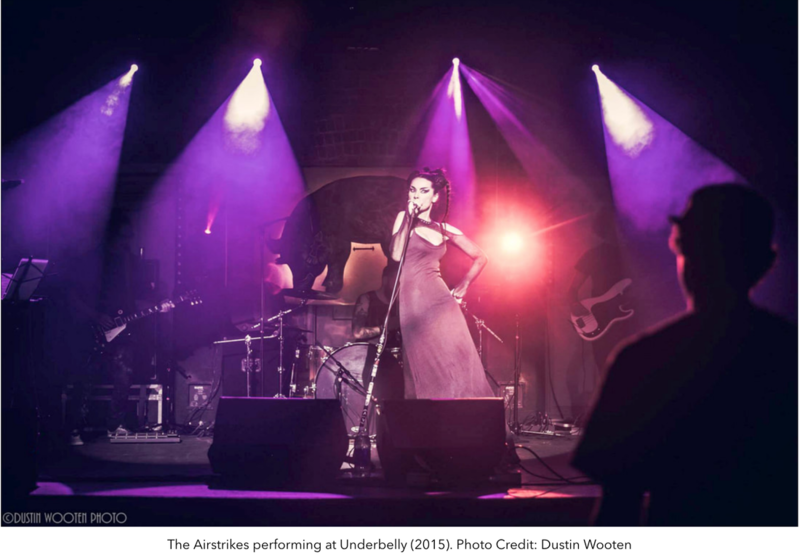 Even so, they’ve played occasionally in Jacksonville, and she has long black hair and dark-rimmed eyes that suggest both her artistic and musical lives. After New York, Jacksonville seemed a good spot: warmer weather, no commutes, cheaper rent, more room for George’s fine-art printmaking studio. They settled downtown at first, figuring that was the spot, but soon grew disenchanted. “There was no central scene where I could find myself hanging out with people I had something in common with,” Novak says. Moving to Riverside, a short distance away, solved that. Cornwell now has a studio at CoRK, the artists’ studios in a warehouse on the edge of Riverside. Novak says she came up with its name — the Corner of Roselle and King — and enjoys spending time there. She needs the camaraderie of other artists and does some collaborative work there. Her Wall Street Journal work, though, along with a steady flow of freelance work, comes to life at her home, a brick building she jokingly calls the ugliest house in Riverside. She has a second-floor work-space, complete with a balcony, overlooking the street. From there, she can see people walking or biking or driving, can say hello to friends. It’s no New York, to be sure, but it suits her need for an urban neighborhood. “I’m definitely not a suburban type of girl,” she says. She doesn’t drive — never has — but from home she can walk or bike to Publix, stores, restaurants, CoRK and its environs. She grew up in communist Yugoslavia, in what’s now Croatia. Her hometown, Zadar, is an ancient city that was largely destroyed by Allied bombing in World War II. Her father was a photographer, and she still has hundreds of negatives he shot of the damaged city; she’s trying to figure out how to preserve them and have them exhibited back in Croatia. As a child, she studied music and art; when she was about 10, one of her pieces of art — a paper collage of men and women dressed in national costumes — was chosen to be a birthday president for Yugoslavia’s President Tito. She keeps ties to her homeland: Every year, she and her husband return to a small stone cottage they built in the traditional style on an island in the Adriatic. Novak continues her Journal work even from there. Each assignment begins with a photograph, sent by editors. “I’m given this one photo. That’s all I know about this person. Sometimes the photo is very bad, yet I’m supposed to capture the person in this style,” she says. From that photo, she traces the face’s major details, then, using three different Rapidograph pens, she begins creating the portrait in a meticulous process using dots, dashes and cross-hatching to create hair, clothing, shadows and light. Each hedcut takes between two to five hours, usually, to finish. As befitting the Journal’s focus on Wall Street, the stipple art is meant to resemble old-fashioned engraving found on currency bills. It’s designed to be uniform, but she can always spot the work of her colleagues: each person has his or her style. It’s a craft that passed down from person to person, Novak says. She trained some of the freelancers that the paper uses, and says it takes several months to learn the process. Many of her subjects are famous: Queen Elizabeth or President Obama, Steve Jobs or baseball legend Cal Ripken Jr., her subject on a recent day. She drew Hillary Clinton numerous times over the years too, as a new portrait was needed with every hairstyle change. Martha Stewart, by the way, was never happy with any of her hedcuts. Often though, Novak doesn’t even know her subject’s full name or their significance. All she has is that photo to work with. “Sometimes I have to read their minds, looking at the picture. Maybe I have to cut down on the double chin, but I need to to make them look like themselves,” she says. A conversation about my work and career as an illustrator and musician. Many thanks to Patrick Fisher from The Cultural Council of Greater Jacksonville. Click HERE. I'm honored to have been personally invited by the Metropolitan Museum in New York City to participate in a public program on January 19th that is being held on the occasion of the exhibition Michelangelo, Divine Draftsman and Designer. 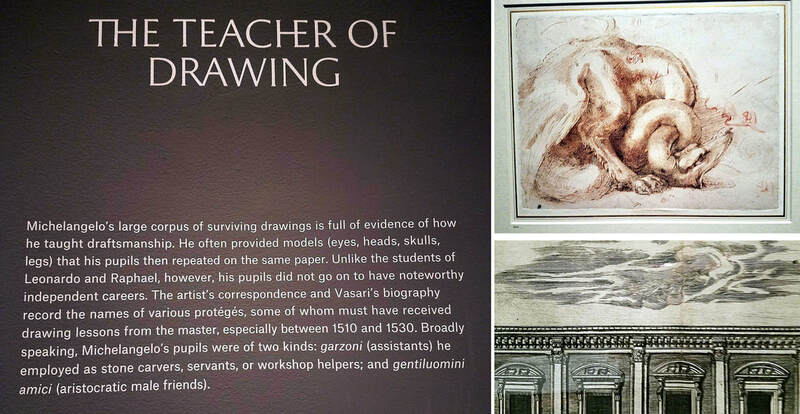 Museum visitors will have an opportunity to engage with a variety of different types and styles of drawing. I will be showcasing my pen and ink stipple technique, better know as "WSJ hedcuts". This will take place at 6 and 7 pm Floor 1, Gallery 162, Leon Levy and Shelby White Court and Galleries.